Glass’s observations are (typically) insightful, so included below his full text. Abdulaziz, in common with other Arab chiefs, was ram ad-dar, head of the house. Every Arab household has its head, and the senior male is revered by his offspring. Children grow up under the watchful portraits of grandfathers and fathers on the prominent walls in their houses. “In all traditional Arab houses and shops,” I wrote in “The Tribes Triumphant” (HarperCollins, 2006), “the head’s picture — usually retouched in black and white, of an old man framed under glass on a wall above door height dominated the most important room. President Mubarak, King Abdallah, Saddam Hussein in Iraq, Bashar al-Assad in Syria and King Fahd in Saudi Arabia translated to the public sphere the senior male’s leadership of the family.” To insult the leader is to demean the father, the basis of society’s stability, and jeopardize the realm. This system contradicts both democracy and the doctrine of human equality embedded in early Islam. If Jamal Khashoggi’s corpse is discovered and Turkish government leaks are correct, the fingers with which he wrote will be found severed or crushed. The message will be clear, just as it was when the bloodied body of Lebanese journalist Salim al-Lowzi was discovered in 1980. Lowzi, who founded and edited political magazines in London, condemned the Syrian army’s occupation of Lebanon in the late 1970s. The flamboyant editor felt safe in London, where I used to see him in his Chelsea house, but he made the mistake of going to Lebanon to attend his mother’s funeral in Tripoli, the north Lebanese city where he was born. Gunmen kidnapped him as he left Beirut airport on Feb. 25, 1980. Police found his body a week later. His writing hand had been immersed in acid, a warning not to write anything against the leader. Some commentators have questioned Khashoggi’s journalistic credentials, because he served the Saudi princes for much of his career. The respected Lebanese-American political scientist As’ad AbuKhalil wrote, “Khashoggi was a loyal member of the Saudi propaganda apparatus.” For much of his life, it was true that he served the state faithfully. The same might have been said of another martyr, Thomas à Becket. He served England’s King Henry II faithfully, until his spiritual duty as archbishop of Canterbury placed him at odds with temporal power. Khashoggi, when I occasionally met him in the Saudi Embassy in London, was working for the ambassador and former intelligence chief, Prince Turki al-Faisal. It was hardly a post for a believer in democracy, freedom of the press and public accountability. Khashoggi left government employ and resumed in earnest his work as a journalist. That calling put him, as Becket’s fealty to the church did, at odds with his former patrons. And he suffered Becket’s fate. When in 1170 Becket excommunicated fellow bishops favored by the king, Henry raged, as recorded by contemporary chronicler Edward Grim, “What miserable drones and traitors have I nourished and brought up in my household, who let their lord be treated with such shameful contempt by a low-born cleric?” Henry’s knights, who would not be seen as traitors, went to Canterbury Cathedral to stab Becket to death while he prayed. 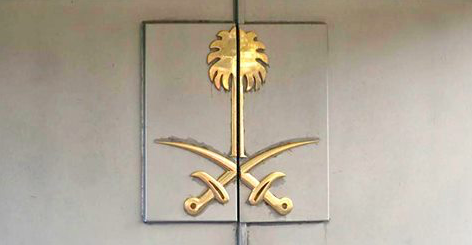 In addition to murder, they defiled the church’s sacred space as in our time the minions who killed Khashoggi violated a diplomatic mission that under international law is protected territory and a place of refuge. The thread from Khashoggi’s battered body to his crown prince seems as obvious as that between the slain Becket and King Henry despite Saudi Arabia’s attempt to absolve the crown prince of blame. Mohammed bin Salman’s defense appears to be that his knights in the intelligence services under his supervision overreacted to his condemnation of a troublesome journalist and killed him by mistake. It is up to the crown prince’s father, King Salman, to decide whether his son must atone to preserve his position. Will the old man make the crown prince bear his back, as Henry did, to suffer the beatings of journalists?